It has been over 100 years since Japanese martial arts, or BUDO, were first introduced in Europe. Since then, BUDO has attracted a great number of martial artists in the West and has made an enormous influence on the fighting sports of the world. One of BUDO, Judo, became so popular around the world that in 1964, it joined the modern Summer Olympic Games in Tokyo. Other forms such as Karate, Aikido, and Kendo have also become popular BUDO worldwide. In the early expeditions of BUDO missionary history, Japanese masters travelled to the U.K., France, and Germany to introduce BUDO to Europe. Miyake Taro-sensei, TANI Yukio-sensei, and KAWAISHI Mikinosuke-sensei are all Jujutsu masters and pioneers of spreading BUDO. At that time in Japan, Judo, derived from Jujutsu, was becoming increasingly more popular. Accordingly, many Jujutsu masters joined the trend, and the presence of traditional Jujutsu dwindled. Some of these masters, however, really loved their art, could not abandon it, and so left Japan in search of new locations to revive Jujutsu. It was through the efforts of these pre-World War 2 pioneers that Jujutsu established a firm foundation with hundreds of followers in U.K., France, Germany, and Poland. There were already many fighting sports in Europe including wrestling and boxing; so, why were so many people attracted to Jujutsu? First: Jujutsu consists of Hit, Throw, and Control techniques. As a fighting method, its techniques are complete. 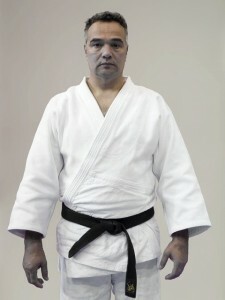 Second: Jujutsu requires more skill than power. Since it is not meant for games, the difference in the weight of students is not taken into account as a handicap. Europeans saw small Japanese Jujutsu masters easily throwing big European wrestlers and were immediately attracted to the mysterious techniques from the Orient. Third: Jujutsu as a BUDO has an excellent curriculum and syllabus such as the DAN degree system with the white or black OBI (belt). Students can always see their skill level and, quite clearly, how to improve. This was not the case for any other European fighting sport. When the Second World War started, the Japanese masters stopped visiting Europe, hoping their protégés would maintain the Jujutsu techniques they had learned. When the war ended, despite European wishes, the Japanese masters did not return. Back in Japan, most styles of Jujutsu went out of existence. Nearly all of the Jujutsu masters were killed in battle, and the Japanese youth were no longer interested in such an old, traditional BUDO. It reminded them of the militarism which landed Japan in its miserable situation and led to a strong hatred of BUDO. In this way, the traditions of Jujutsu died except for a remaining few followers. Those few survived by teaching their style to a limited number of students. Those survived Jujutsu masters no longer had the willpower or motivation to take missions outside Japan. Japan’s economy eventually recovered, and the nation regained its vitality in the 1970s. Many Judo, Karate, and later Aikido masters went to Europe and the United States to teach their specialties. As with Japan in the past, the major study of BUDO was replaced by these new derivatives of Jujutsu. 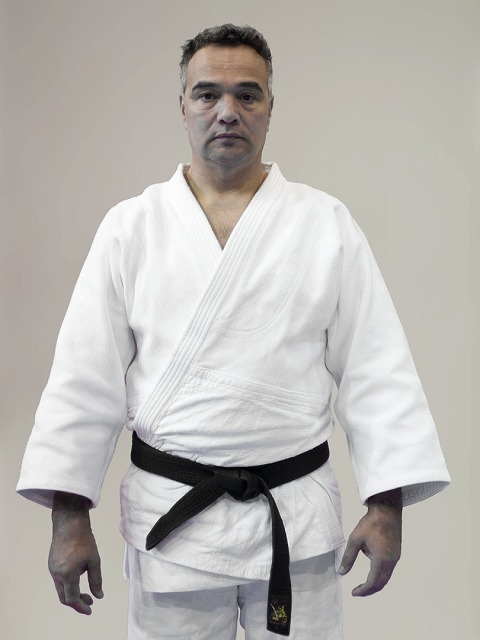 Nevertheless, a number of Jujutsu practitioners still continued in Europe. Their population had grown much larger than that of their counterparts in Japan, where Jujutsu only existed as a traditional symbolic art. After the departure of the Japanese masters from the West, the study of Jujutsu had continued to develop in Europe. This style has come to be known as European Jujutsu. 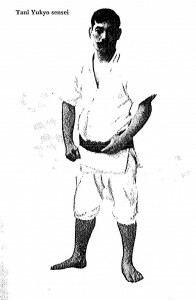 Unlike Gracie’s style, which many do not regard as a traditional Jujutsu, European Jujutsu has a direct link with the original Japanese style and is considered to be descended from the traditional schools. 1. They believe that Japanese masters have a technique level higher than that of the local masters. They want to learn BUDO more effectively and believe that Japanese masters enable them to gain a higher level. 2. They want to focus on the spiritual aspect as well as the physical technique, because they consider it necessary to get spiritual growth to achieve a higher level. They expect Japanese masters to provide a better opportunity for spiritual matters than local masters. It is interesting that Westerners consider the spiritual aspect so important to achieving a higher level. For the Japanese, this is not the case. Even though we practice BUDO to achieve spiritual calmness, BUDO training is not a goal but a means to achieve this. I believe this is the important key for why it is so difficult for western people to attain spiritual calmness. For so far as they think it is a means to attain higher technique level, they will never find the way to get it. As for the first motive, fewer people now believe this. In the case of Judo, Western Judo-ka win more matches than Japanese Judo-ka. Consequently, they believe Japanese Judo-ka are no longer as superior as before. They do not feel they need to learn Judo from Japanese masters. The interesting point is the second motive. 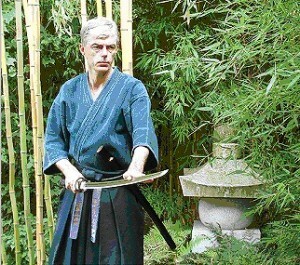 Many Western BUDO-ka still believe they can learn excellent techniques which are backed up by a high spiritual calmness only from Japanese masters. This desire shows up often in martial arts movies. The most famous of these films is KARATE KID. The Ideal BUDO Teacher Described in “KARATE KID” KARATE KID is one of the best among many BUDO films that describe the teacher-student relationship. The producers of this movie must really understand the idea that excellent techniques can only be mastered by one with high spiritual calmness. We can learn a great deal about the teacher-student relationship from the main characters Miyagi-sensei and Daniel-san. 1. Miyagi-sensei did not teach Karate to anybody. Daniel-san was the exception. 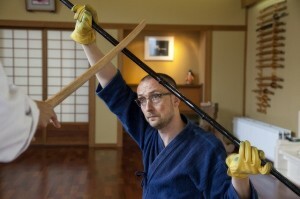 This symbolizes the idea that a real master teaches BUDO only to transfer it to the next generation in the proper way. A master chooses to teach BUDO not just to anybody wanting to learn but only to carefully chosen students whom the master believes has a pure spirit. 2. Miyagi-sensei did not take any fee from Daniel-san. This indicates that a real master does not aim to profit by teaching BUDO. In reality, not every BUDO master can do so. They should also earn income to maintain their own living, even if only to continue teaching. Instead, real masters should not put it as their first priority to earn profit by teaching BUDO. 3. Miyagi-sensei did not teach techniques directly. Instead of learning techniques, Daniel-san had to, for example, paint a house wall in the precise way instructed by Miyagi-sensei. Daniel-san had to be fully aware, take notice, and realise what Miyagi-sensei intended to teach him. Students should not wait to be told what to do. They should encourage their mind, pay close attention, and use their full awareness to receive a lesson. 4. Miyagi-sensei treated Daniel-san as his real son. A real Japanese master treats his important students as family members. They are necessary for carrying on the tradition. The crucial task for Japanese masters is to transfer the tradition to the next generation correctly, to proper successors and by proper ways. After summing up these key points, the benefits to learning BUDO from Japanese masters are now more evident. Thanks to these ideas, I am sure that many people are interested in following this path; however, there is a rather significant problem. Recall that Japanese masters do not teach just anybody but choose their students very carefully. This provokes the following question: Is there still any benefit to learning BUDO from Japanese masters if one cannot be specially chosen as his successor? There are still many things which one can learn only from Japanese masters even when not chosen as a successor. I suggest the following. In BUDO, REISESTU is regarded as important as techniques or even more important since it comes from the humanity of a person. In BUDO, highly skilled person without respect or integrity is not regarded as a proper BUDO-ka. BUDO-ka should pay respect to their teachers, colleagues, and students. Even at the end of match, the winner should pay respect to the loser for giving them the opportunity to win. This is often observed at a SUMO match. After every match each opponent bows his head to the other to show honour and appreciation. At the final JUDO match of the 1964 Tokyo Olympics, Mr. Anton Geesink from the Netherlands defeated Mr. Akio Kaminaga from Japan and became the first non-Japanese Judo champion. Immediately after his victory, Dutch supporters started to rush in to celebrate their hero. But with a raise of his hand, Mr. Geesink stopped them from entering the rink. He knew it was not polite and against REISETSU. Due to this and not merely to his success in the match, he has since become respected throughout Japan as a real BUDO-ka. More recently, a SUMO wrestler from Mongolia has lost respect. This wrestler, who gained the highest rank in SUMO (YOKOZUNA), was actually forced to resign by the SUMO federation. From technical perspective, he was very successful, possibly ranking in the top 10 in modern history. The problem was that he did not display proper manners or show respect to others. Several scandals ended with brutal violence and eventually led to his ejection from the federation. First to blame should be his master and the Sumo federation. His Japanese master could not teach him proper manners and was disrespected after every scandal. The SUMO federation also failed to act appropriately. By hesitating to assign a proper punishment each time, they gave precedence to commercialism and the popularity of the sport over preserving its good tradition. The forced resignation was broadcasted all over the world. In some countries such as Mongolia and the Netherlands where I live, it was explained that the ejection was because he was too strong and no Japanese opponent could not defeat him. This is far from the truth. Another champion called HAKUHO (white great bird) is also from Mongolia and is highly respected and loved by everybody. He understands and respects the BUDO spirits. The forced resignation affair shows that not every Japanese teacher can provide lessons in proper BUDO. One must choose a teacher with great care. For many BUDO, and especially for Jujutsu which consists of significant know-how, the techniques can not be described by writing nor taught by mass training. Hence, every insight must be explained with hand-to-hand, arm-to-arm training and meaningful verbal explanation. This form of teaching requires students to listen with full awareness. We call this approach to transferring deep know-how KUDEN. 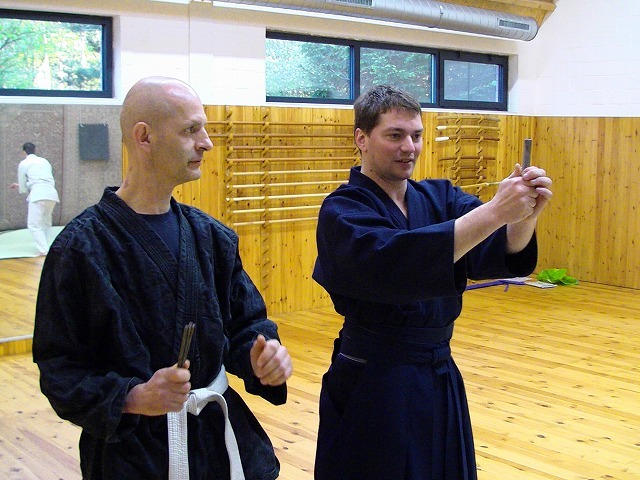 From my own experience teaching Kensoryu Jujutsu in Europe for 21 years, the real know-how is not transferred properly in most Jujutsu schools in Europe. In fact, students appear to be learning techniques by looking at photos or watching videos. Jujutsu techniques require a very delicate skill. If one grasps only 1 cm away from the exact point, the technique loses sharpness. If one applies power in a slightly different direction, the desired pain decreases drastically. Every time I show and explain the proper way, which is slightly different but has much bigger effect than other styles, European Jujutsu-ka are always surprised and often shocked. This is the most important thing a student can learn only from Japanese masters. Tradition cannot always be described in detail or put simply in words. Tradition can be expressed in many ways: moving gracefully, walking, turning, teaching, etc. Such a tradition must be felt and not just explained. A good example of a tradition is ZANSHIN which translates as “remaining spirits”. After finishing a KATA in Jujutsu, we should always end with a special posture called ZANSHIN. This means that, after finishing a KATA technique, our fighting mind remains, preparing for any return attack. This is a remarkable point that distinguishes BUDO from other fighting sports. 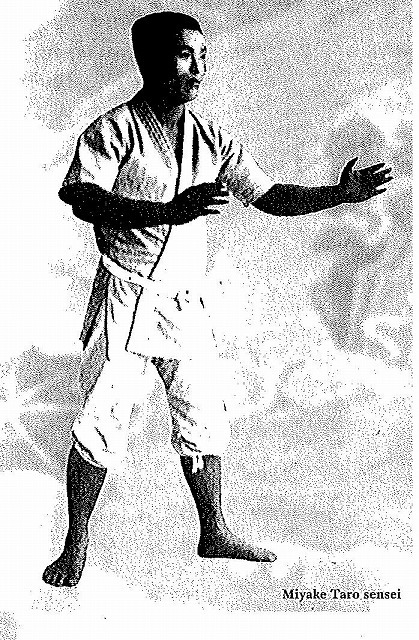 For many fighting sports, the match is over with the final gong, and the winner often gives a victory pose in celebration. This is not allowed in BUDO. We perform ZANSHIN to avoid YUDAN (a careless situation). This concept is rather hard for non-Japanese to understand; so, non-Japanese masters normally do not, or cannot, teach ZANSHIN. Several years ago in Poland, an Aikido Dan exam was held in Warsaw, and a famous Aikido master from Japan was invited as an examiner. One experienced candidate attempted the exam for his 4th Dan degree but failed. He demonstrated almost every technique successfully, but at no time did he show ZANSHIN. As a result, the master did not grant him the award. Western students surely felt this tradition when they learned BUDO during their training in Japan. Afterward, they may have forgotten it, or they did not have enough experience to transfer that tradition to their students. In general, the main priority of Westerners is mastering physical techniques. They normally do not see the worth of cultivating BUDO tradition. However, spiritual attainment can only be achieved after fully accepting BUDO traditions. I believe that, at this moment, BUDO can be correctly transferred only by Japanese masters, since such teachers pass on its long tradition. If the number of non-Japanese masters, who can transfer that BUDO tradition, grows for several generations, then, perhaps, there will no longer be a difference between the teachings of Japanese and non-Japanese masters. Living in the Netherlands for the past 22 years, I have met around 30 to 40 BUDO masters who have a rank of 4th Dan or higher. Among them, I count only three people who carry the true traditional BUDO spirit. I have found, primarily in Jujutsu, there are numerous so-called experts that I would not call BUDO masters. In the case of Jujutsu, most schools in Europe do not have regular contact with a Japanese Jujutsu organization. In Japan, the number of organizations is few and have no power to go abroad to teach. They struggle to survive due to the lack of students wanting to learn traditional Jujutsu. Fifty years from now, the Jujutsu population in Japan might even be half the current size. 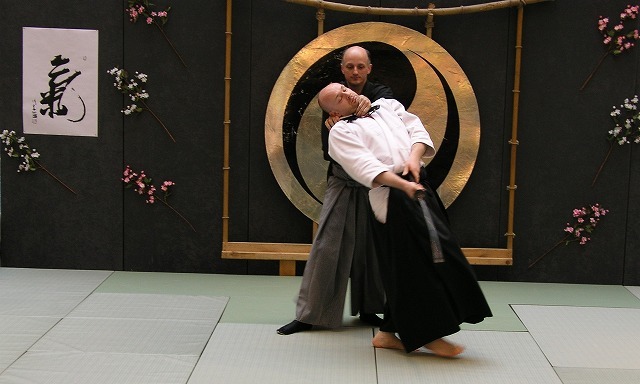 European Jujutsu-ka can not be blamed for being disconnected from the organizations in Japan. They are free from control and can do anything they want. Only a few European organizations still seriously consider keeping the traditional ways. The majority have been creating their own Jujutsu focused mostly on power techniques intended for competition. In Judo, the similar thing has been happening worldwide. European Judo has become a competition sport and is no longer BUDO. As this form of Judo is largely a competition sport, its practitioners do not seek spiritual aspects or tradition and thus do not need to learn from Japanese masters. There are many Judo athletes outside Japan who can win international matches, and these people provide sufficient instruction in the competitive techniques. Even in Japan, there is a movement to modify “Japanese Judo” (a strange thing to say) to merge with the world trend so that Japanese Judo will remain strong internationally. This is the wrong approach to take: Judo will lose the very important aspect of BUDO. BUDO is a national treasure of Japan with a tradition of hundreds of years. In the Tokugawa period which lasted for 268 years, people enjoyed peace. SAMURAI trained in BUDO without using it even once in their lives. They asked themselves why they trained in fighting techniques which never saw use, and they came to one conclusion: Jujutsu and Kenjutsu are not for the fight but for cultivating calmness of mind. In this way, BUDO was elevated to an art of cultivating one’s spirit from simple fighting techniques. This is the superiority of BUDO among the multitude of fighting sports or martial arts that have risen all over the world. Yet, at this moment, very few Westerners understand the concept of BUDO. 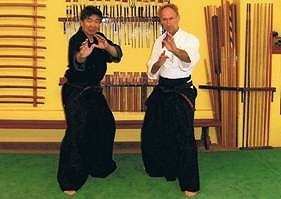 If one wants to master BUDO correctly, one must learn it from the Japanese masters who can teach it. At the end of this article, I would like to express my thanks to Mr. Sean Leather, my Jujutsu student comes from U.S.A., for his big effort to have corrected my Japanese English to formal English.